Photojournalist, Raiden Collins is taking a forced vacation in Naples, Italy, using the time to rediscover his creativity and explore the ancient volcano and surrounding area. Nothing in the long list of experiences of his past prepares Raiden for a chance encounter on the summit of Mount Vesuvius... read more with his ex-boyfriend, Army medic Staff Sergeant Shane Jefferson. 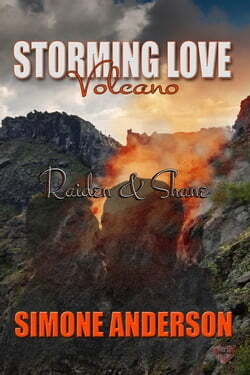 Sparks fly and Raiden must decide if love is enough the second time around in the face of an erupting volcano.